Together Housing are one of the largest housing associations in the North of England, managing over 38,000 homes across Yorkshire and Lancashire. We are a non-profit organisation, meaning any money we make is invested back into the company for the benefit of our residents and local communities. In addition to providing quality homes to rent, we also build and manage homes for sale through the Shared Ownership scheme. Additionally we provide sheltered accommodation and extra care schemes. Not only do we provide homes, but through our charity, Newground Together, we fund a variety of voluntary and community projects, groups to help improve life and opportunities to work for local people. 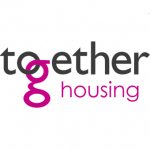 You can find out more about Together Housing Group by visiting our website here.